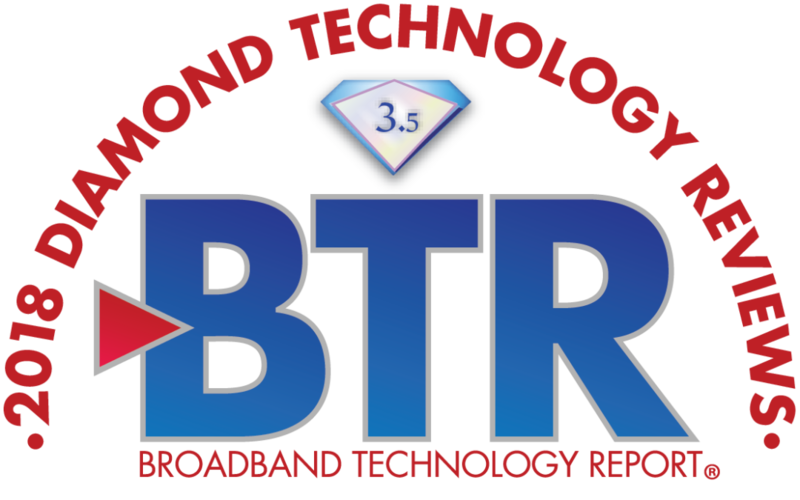 Evolution Digital’s eSTREAM 4K™, powered by Android TV™, has been awarded as Broadband Technology Report ‘Diamond Technology Review’s’ High-Score Recipient for 2018. The Diamond Technology Review program (“The Diamonds”) is a renowned industry program that recognizes the top products and solutions available in the cable industry. Determined by a stellar panel of cable telecommunications engineering experts from Altice USA, Cable One, Comcast, Cox and Mediacom, as well as several high-level consultants, eSTREAM 4K has been acknowledged as one of the top products to launch in 2018 for its innovation, ease-of-use, efficiency, reliability and contribution to profitability. eSTREAM 4K, an all-IP streaming box, combines linear cable channels and Video on Demand services with popular streaming apps available through the Google Play Store. Delivering an unparalleled entertainment experience, eSTREAM 4K includes a sleek remote control with voice search and command support. Evolution Digital’s eSTREAM 4K also supports the newly-unveiled eMERGE user interface, offering graphic-rich interactive viewing with seamless universal search and discovery across content. More information on eSTREAM 4K can be found here.